See me again. We are about to share the result of our review of this game. 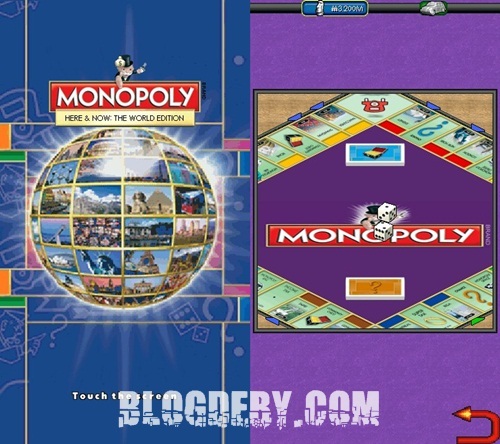 It is Monopoli The World Edition v4.18.79. This game is a java game made by EA Games in association with Hasbro. Actually we have review another version of this game. It is Monopoli Deal. You can have it here, if you interested to try. Back to the world edition, it is more loke monopoli most of us play. Curious to know? Here it is. As the Monopoli we've played most, you will see two dices to draw. Then the number will decide your move. It has Jail, places to own, and many options of avatar. If you stop in your enemy's place, then you have to pay some cash. The cash is on USD. 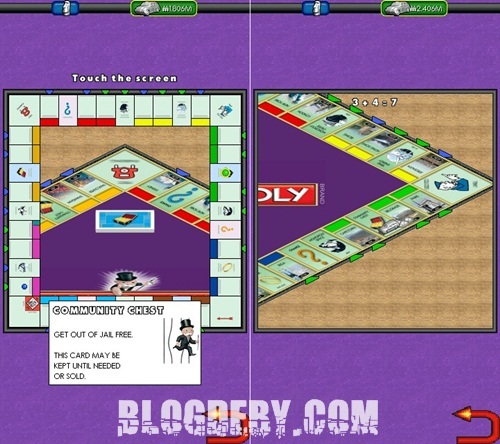 This game just like the original Monopoli game. This game has a good mark on me. The UI seems easy to use, the sound effect is good, even it has vibration effect when you get into the jail. If you want to buy a house, make sure you have a complete residence or you will never be able to build any house of hotel. All in all, based on Deby's Blog Review Team judgement, this game get 8/10 score. Just as the others, we get it for free, we will share it for free as well. Please be welcome to download it by the link below.